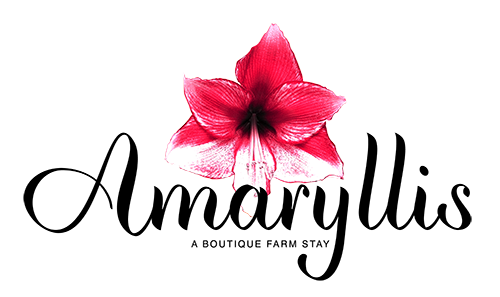 You may, like many others, be wondering – why Amaryllis? This stunning red flower was the first one that we planted on either side of the driveway. Because the flower blossoms for a long time, it symbolizes achieving success over a long and difficult struggle. A well cared-for amaryllis bulb can ensure that prosperity stays in the home for a very long time. Also, it is a flower of determination and radiant beauty, as well as pride. 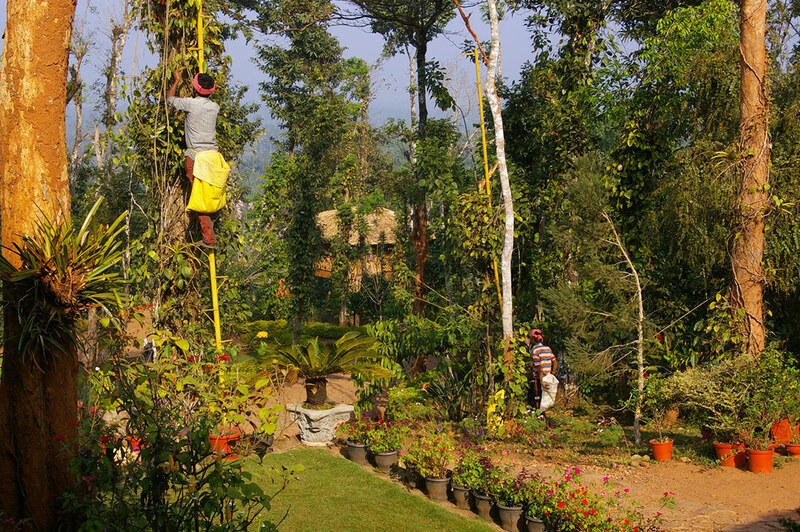 All through our lives as planters, we have enjoyed nature and have always been interested in planting many fruit, spice and flowering trees in our gardens. Ever since we bought the property in 2008, in addition to coffee and pepper, we have planted crops like areca, nutmeg, clove, cinnamon, allspice and cardamom and a variety of fruit bearing trees. Interspersed with coffee, these tropical fruit trees include Mangosteen, Lychee, Mango, Papaya, Chikkoo (Sapodilla), Banana, Pomegranate, Rambotan, Durian, Avocado, Passion Fruit, Orange and varieties of Lime.